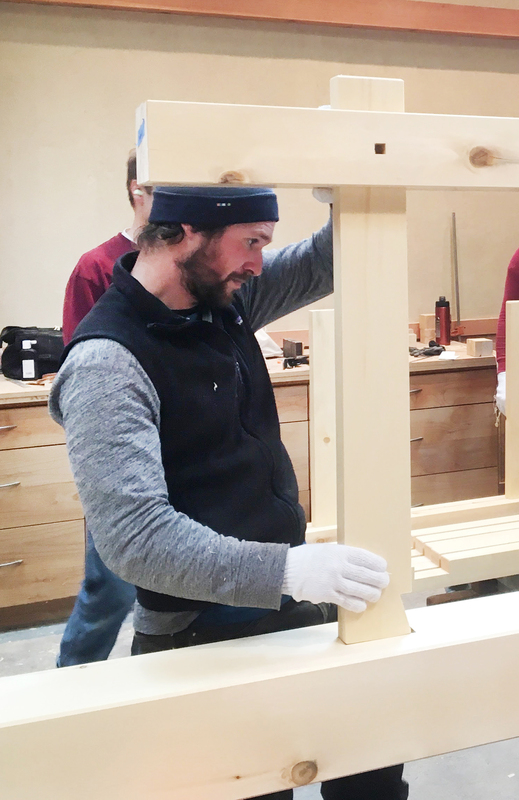 After an early introduction to the beauty of timber framing and furniture building, Michael spent every summer and every employment opportunity since age 15 engaged with cutting wood. 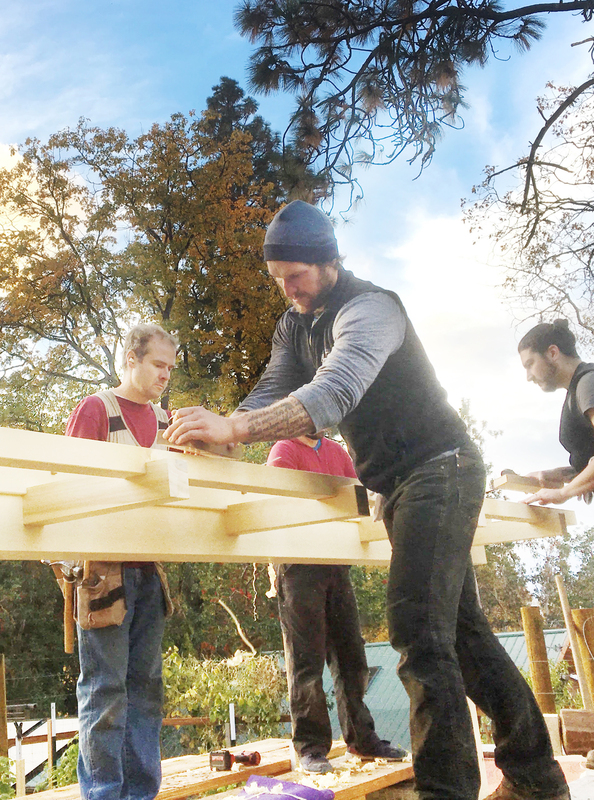 Yet even after owning his own business and being given the freedom by custom home builders to create as he pleased, there was a deeper call to create in a more "wholistic" way. When a fork in the road appeared and this call was loudest was when Michael bumped into EcoNest. A week after finding them online Michael signed up and joined the next available workshop in Warfordsburg PA. The combination of timber framing, clay straw and beautiful interior finishes, was the equation he was looking for. Needless to say the experience left a lasting impression. 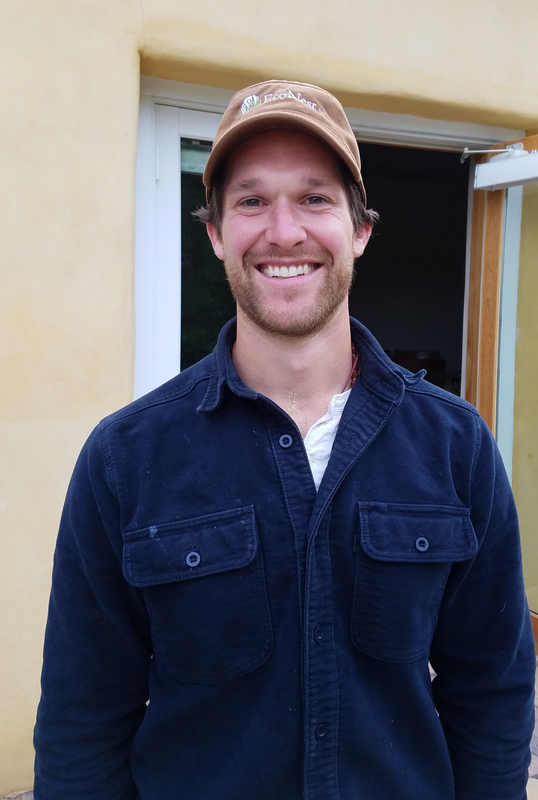 Immediately after the workshop Michael joined EcoNest and company in Ashland OR for a full time apprenticeship, during which there was extensive exposure to timber framing, clay straw wall production and the beautiful craft of Japanese Carpentry. 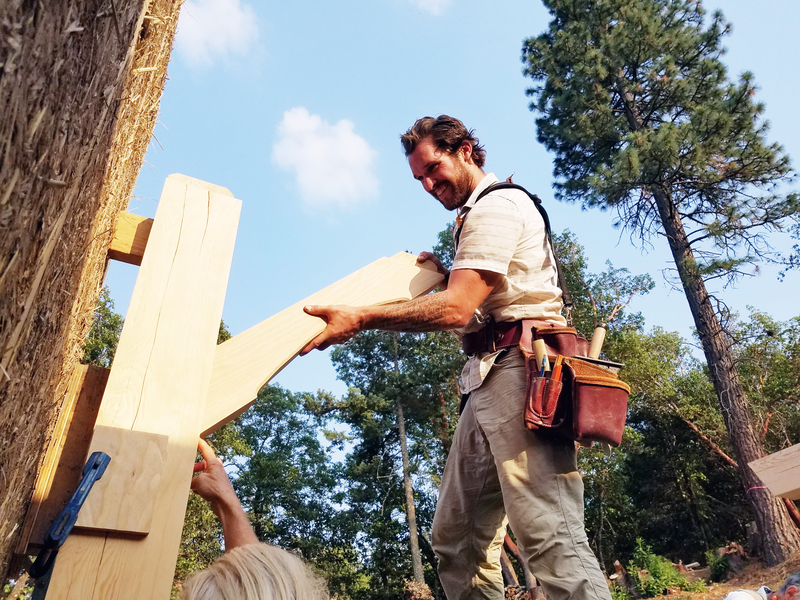 After leaving Ashland Michael started Satsang Woodworks as a way of offering his love of building sacred structures. Michael is incredibly grateful to know and be apart of the EcoNest family and is very much looking forward to utilizing all he has learned to create beautiful sanctuaries in the future.